Greece’s parliamentary election was held on Sunday, January 25, resulting in Syriza, the Coalition of the Radical Left, gaining 149 seats, just short of of the 151 needed for an overall majority. The election was held following the failure of the Greek parliament to elect a President of State by the end of December last year. The single candidate, put forward by previous pro-austerity government led by the neo-liberal New Democracy party, was rejected by a majority of members of parliament, resulting in the dissolution of parliament and the calling of the snap election. The Greek electoral system employs a version of proportional representation where the winning party is awarded an additional 50 seats. The 149 seats won by Syriza includes this additional 50. There are 300 members of parliament, meaning that 151 seats are needed for an absolute majority. 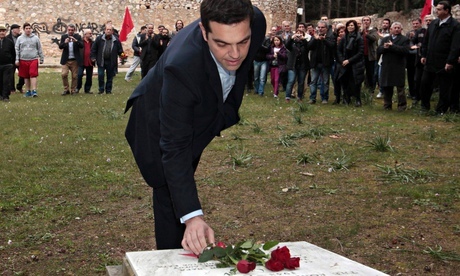 Syriza could have potentially chosen to form a minority government. However, for strategic and tactical reasons, they have formed a coalition with ANEL, or Independent Greeks, an anti-austerity, though also anti-immigration, party. This decision will undoubtedly present difficulties, but is an attempt to deal with the political reality with which they are faced. The fascist Golden Dawn party came joint third. While certainly a negative aspect of the results, it should be noted that their share of the vote has actually fallen from the 2012 election and their poll ratings are substantially reduced from their peak. – were executed by Nazi forces on May Day 1944. The vote of the communist KKE, who are calling for a unilateral cancellation of the national debt, illustrates that they have begun to recover some lost ground. The results as a whole reveal that Greeks have firmly rejected the status quo and the forces overtly favoured by the European establishment. The old forces have been unable to resolve things and perpetuate the status quo, and the old political cartel has collapsed, as reflected in the greatly-reduced vote for the previously-ruling New Democracy and the derisory 13 seats achieved by the old party of the official left, PASOK. One consequence has been the formation or rise of smaller parties. For example, the new party The River, which formed in February last year, won third place in parliament. The results could therefore be said to reflect a political system in flux, where the old party-model does not currently apply and what will replace that has yet to be consolidated. The election was surrounded by disinformation from the Greek and international media and overt intervention by the EU establishment. This campaign has sought to discredit and misrepresent Syriza and spread fear with the aim of disorienting people from taking the initiative. One key feature of this disinformation concerns the characterisation of Syriza as “extreme left”. The idea here is that there is no alternative to austerity. To propose any alternative, and to merely suggest that the needs of the population should take more of a priority in relation to other claims on the Greek economy, are radical suggestions that are labelled “extreme”. To pursue such extreme policies will lead to chaos, and so voters should fear the rise of this maverick party, runs this argument. The decisiveness of the election result therefore represents a stand that has been developing in the face of such scaremongering and disinformation. It represents the stand that there is an alternative to austerity. Greece is experiencing austerity at its sharpest, and the growing sentiment is that enough is enough. There is a developing consciousness of the alternative as a matter of necessity and that the resistance to austerity cannot confine itself to remaining reactive. The need has arisen to create conditions where people can start to elaborate their own solutions and develop their independent politics and have the space to grow in strength so they can bring their weight to bear, and so that it is more difficult for the pro-austerity forces to impose themselves and to continue in the old way. The vote is a reflection of a growing sense of the need for strategy and tactics in this regard, a developing of the political level of the population. The election was a very practical political battle, which had to be resolved in favour of people being able to unite in action aimed at ending austerity. The election of Syriza by such a large margin despite the fear-mongering and disinformation is therefore a significant result. 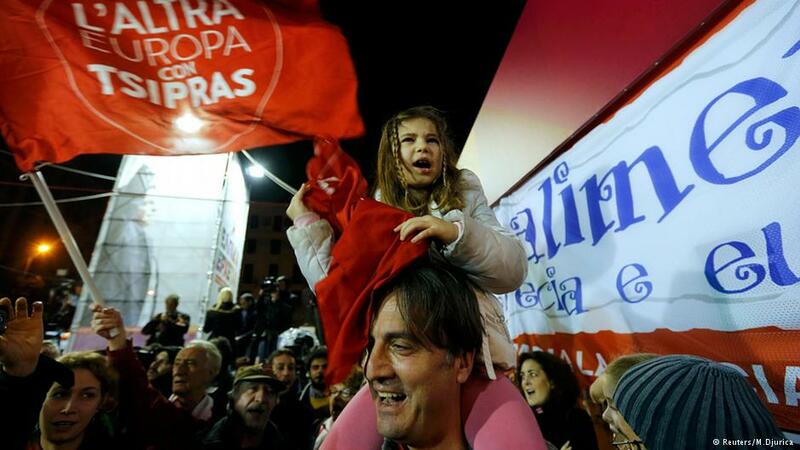 Syriza’s platform is not in itself revolutionary. Yet, to carry it through is a block to the austerity agenda and of importance to all in Europe.